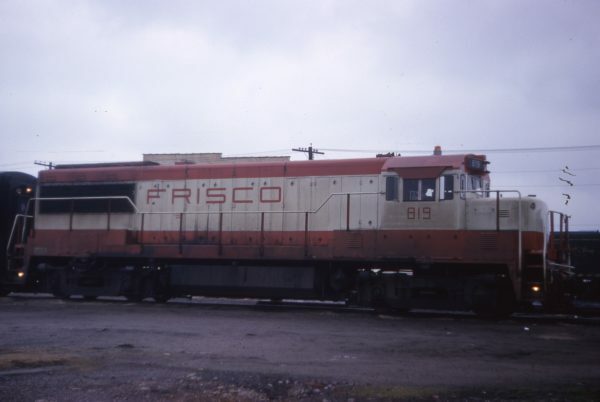 H-12-44s 282 and 285 working the west-end of Cherokee Yard in Tulsa, Oklahoma (date unknown). Caboose 1261 at Kansas City, Missouri on August 20, 1980 (J.C. Benson). 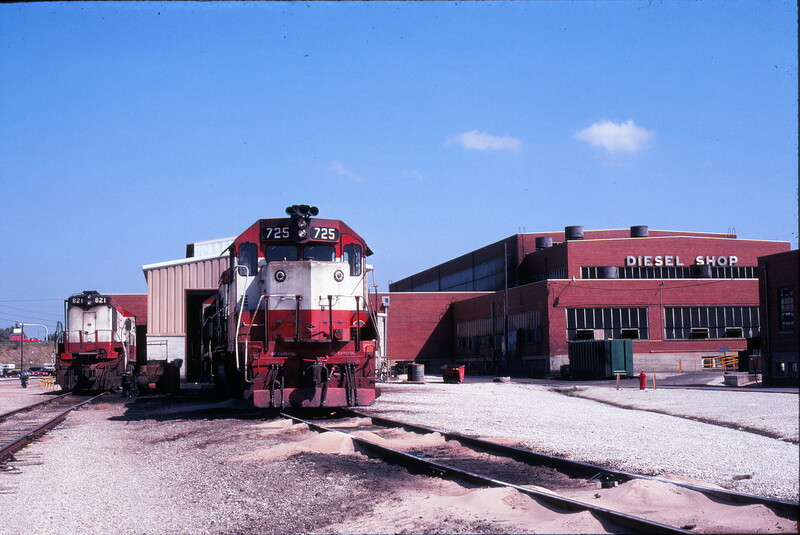 GP35 725 and U25B 821 outside the Springfield Shops (Springfield, Missouri) in September 1978. U25B 819 at Birmingham, Alabama in March 1966. 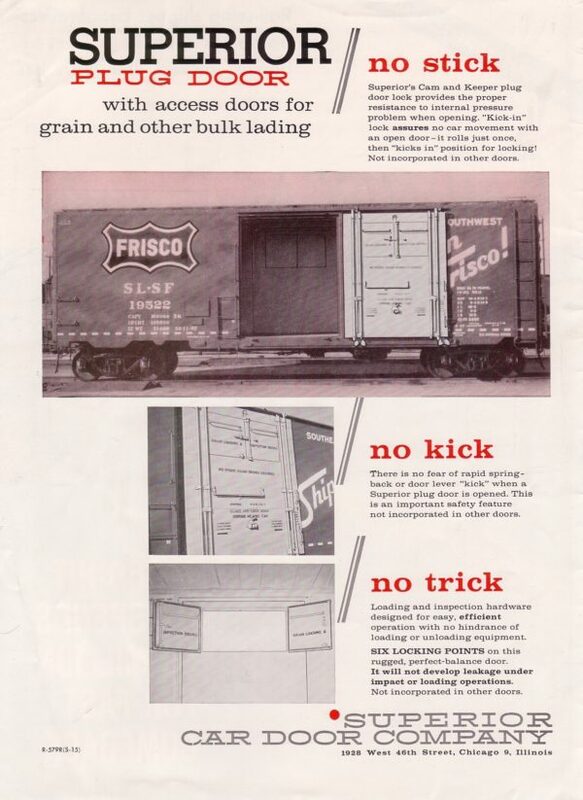 Superior Car Door Company advertisement featuring a Frisco boxcar. 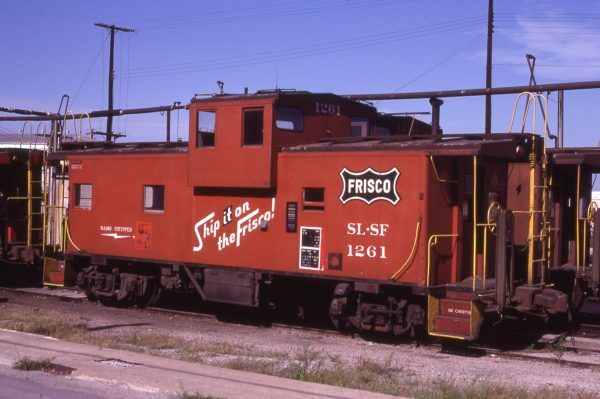 Date and publication unknown. 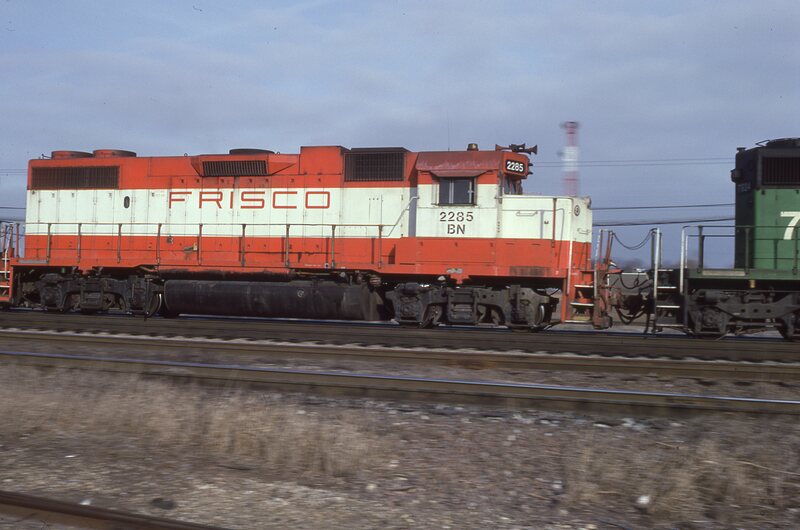 GP38-2 2285 (Frisco 430) at Eola, Illinois on January 27, 1983 (D.R. 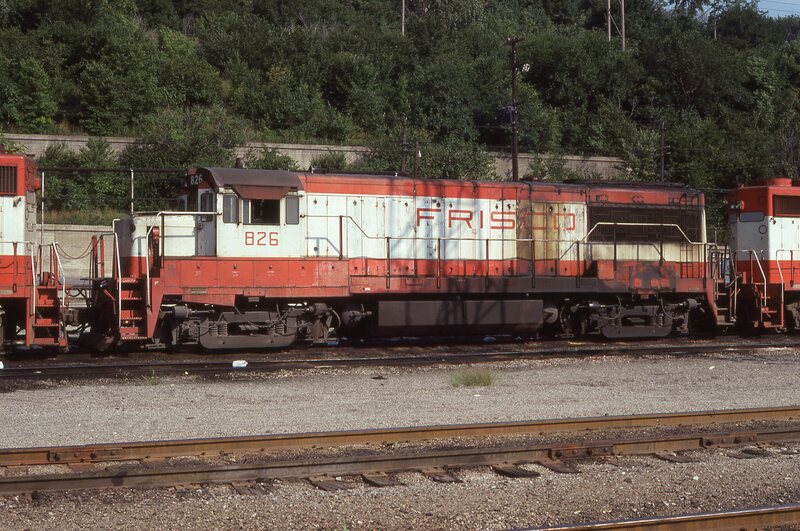 Halfield). 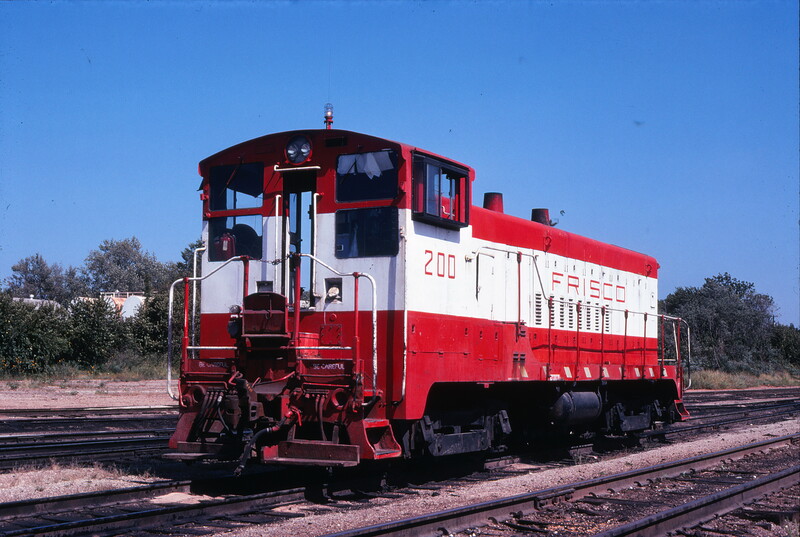 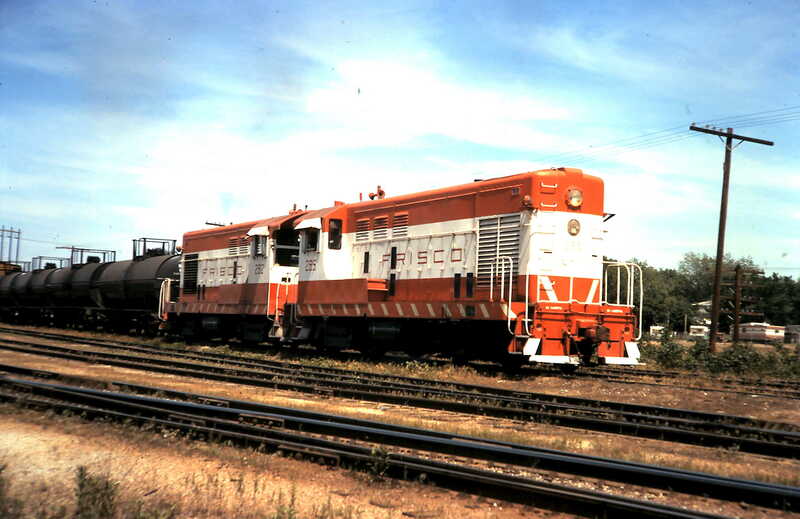 VO-1000 200 at Springfield, Missouri in September 1978. 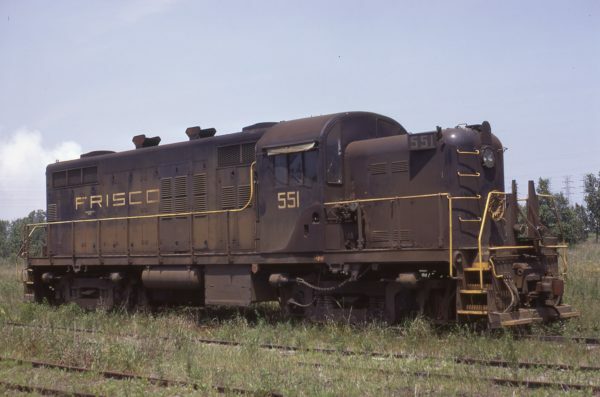 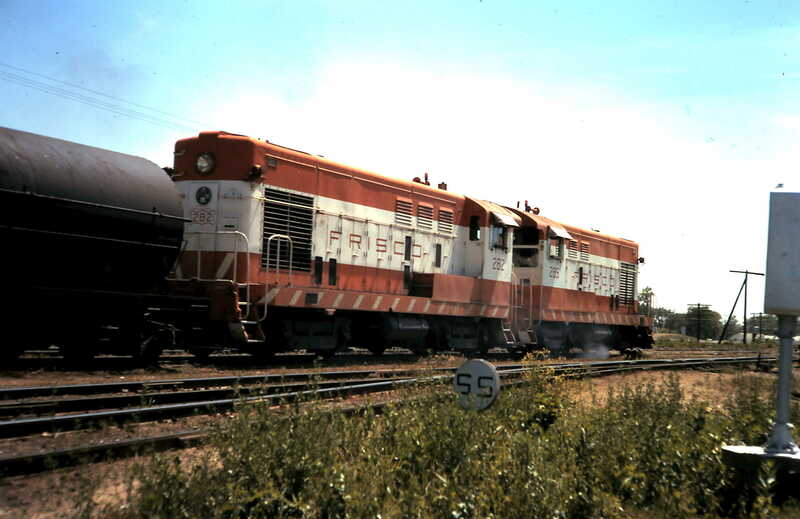 RS-2 551 at Gary, Indiana on July 8, 1972. 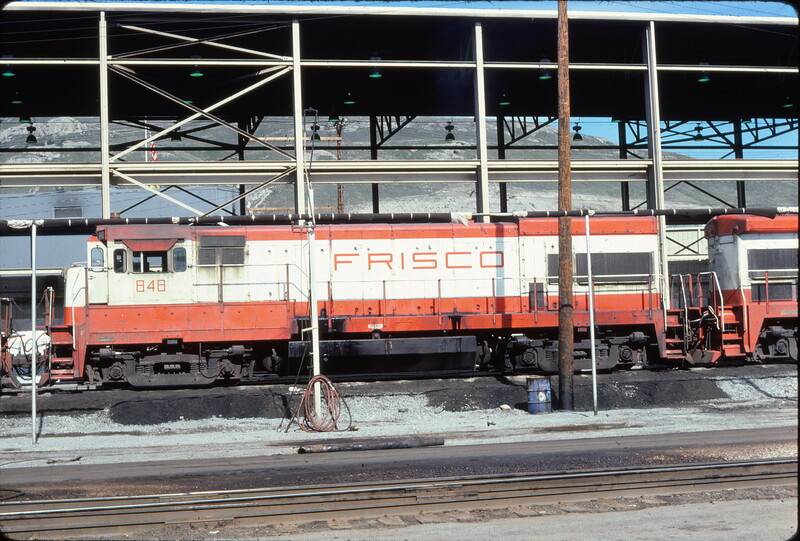 U30B 848 at Salt Lake City, Utah in April 1978. U25B 826 at Kansas City, Missouri on August 21, 1978.